RICHARD C. WEINBLATT has experience in complex commercial law matters, including intellectual property litigation, and has represented individuals injured by Fen-Phen. He started his legal career at an intellectual property boutique that merged into WolfBlock LLP, a regional general practice law firm, and then joined Fish & Richardson, P.C., an international law firm specializing in intellectual property law, where he focused on patent litigation. Next, he formed Stamoulis & Weinblatt LLC. 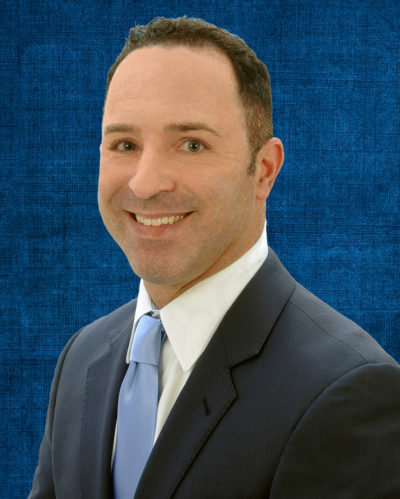 Mr. Weinblatt has litigated cases in the District of Delaware, as well as in many other districts throughout the country (including the Eastern District of Texas and Eastern District of Pennsylvania). In addition, Mr. Weinblatt has represented clients in bankruptcy disputes before the United States Bankruptcy Court for the District of Delaware. Mr. Weinblatt is certified as a mediator by the Delaware Superior Court and as a Commercial Law Arbitrator by the Delaware State Bar Association. In 2012, 2013, 2014, 2015 and 2016, Super Lawyers named Mr. Weinblatt a Rising Star, an honor reserved for no more than 2.5 percent of the lawyers in the State of Delaware. He received this honor in the area of Intellectual Property Litigation. He also was recognized as an “IP Star” in 2013, 2014, 2015, 2016 and 2017 by Managing Intellectual Property. We can help you immediately.